you must have a valid provisional driving licence because you will need the licence number. If you want to book a theory test online, you will need an email address to receive an appointment confirmation. If you don’t have an email address, you will have to make a phone booking. 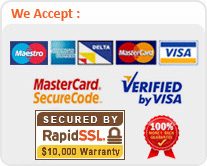 You will also need a credit or debit card for payment. You can take a reduced fee version of the car driving theory test if you have a Safe Road User Award. The Abridged Theory Test costs £18. You can book with Book Theory Test Today, too – for £44.99 we will book your theory test on your behalf and you’re covered by up to three free retests if you’re unsuccessful. The theory test for cars and motorcycles is made up of two parts (three for buses, coaches and lorries), a multiple-choice questions section and the hazard perception section. For the multiple-choice part, you will have 57 minutes to answer 50 multiple-choice questions. Before the on screen test starts, you will see instructions on how it works and you will have the chance to answer some practice questions. When you start the test proper, you will be presented with 50 questions, each of which will appear with several possible answers. You have to select the right answer. If you’re not sure of an answer to a question, you can ‘flag’ the question and come back to it later, provided you do so within the time limit. you can go back to any question to review and change your answer, provided you do so within the time limit. Upon completing the multiple-choice section, you can have a three-minute break before the hazard perception test begins. Before the hazard perception test begins, an instructional video will play explaining how it works. You score points for spotting a developing hazard as soon as they occur. You can score up to 5 points for each developing hazard. To achieve a high score, click your mouse as soon as you spot a hazard developing. You only get one attempt at each clip. You can’t review or change your responses. !!! Be aware that while you don’t lose points if you click and get it wrong, you won’t score anything if you click in a continuous pattern.